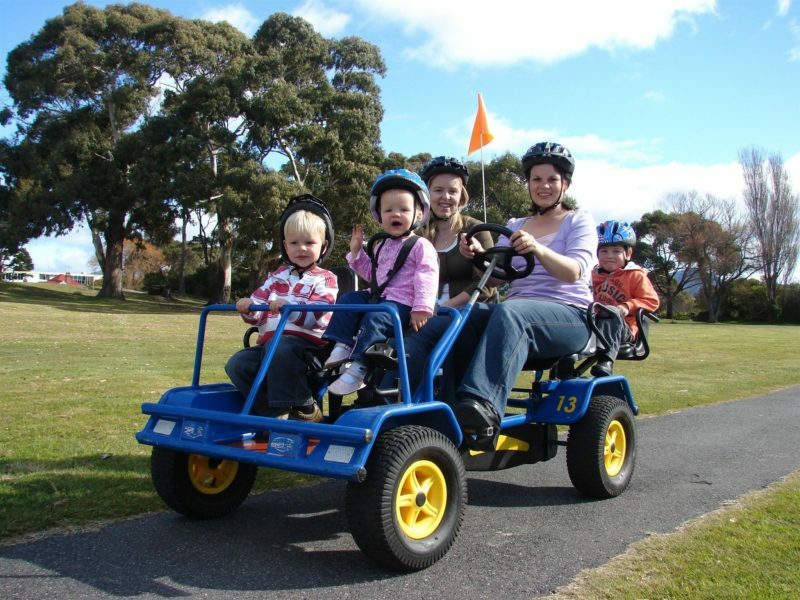 Pedal Buggies Tasmania is located at Ulverstone on Tasmania’s beautiful North West Coast. With a variety of pedal buggy styles and combinations to choose from there’s sure to be one that’s just right for you. Fun and entertaining for all ages, pedal buggies are sure to be a winner. 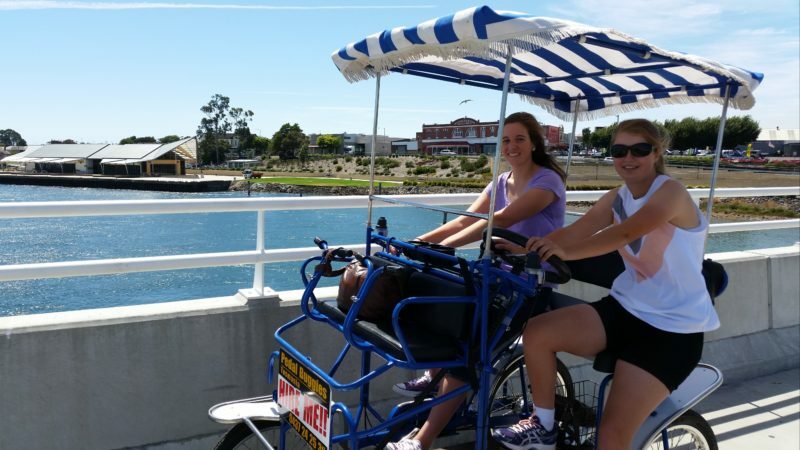 Enjoy the beachside parks as you pedal along the shared pedestrian/cycle path. Hire single, double or family buggies which you can attach extra child seats and baby harness seats (suitable from six months old). Extra trailers can be added enabling more people to pedal on the one buggy. A wheel chair trailer is available to cater for persons with this need. Buggies are suitable for many special needs persons. General hires are based on half-hour. Feeling really energetic? 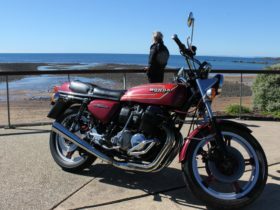 Why not try a Surrey Bike on the 12 kilometre return trip to the Turners Beach Berry Patch. 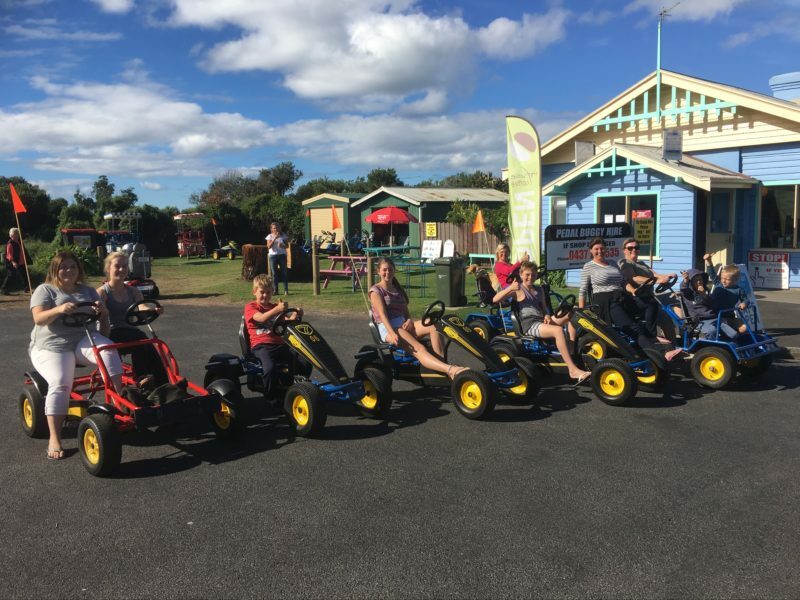 Approved buggies may proceed past the wharf precinct crossing the bridge on the shared pathway to explore the western bank of the Leven River as far as the Apex Caravan Park. (Please discuss this option for special instructions at point of hire). Ample parking available for vans and motor homes close by. Public toilets. Due to the many buggy options and combinations prices are difficult to quote. Options best viewed upon arrival.